U.S. National Security Adviser John Bolton, left, gestures while speaking to Russian Defense Minister Sergei Shoigu, back to a camera, during their meeting in Moscow, Russia, Tuesday, Oct. 23, 2018. Despite sensible objections, the US could benefit, and it's hard to see how Russia ever would comply. President Donald Trump’s national-security adviser has traveled to Moscow to withdraw the United States from the Intermediate-Range Nuclear Forces Treaty. That agreement precluded the U.S. and Russia from building or deploying ground-based conventional or nuclear missiles in the ranges from 500 to 5,500 kilometers. Because Trump announced this move at a typically unruly campaign rally, the administration’s motives may seem suspect—just another reckless effort to stir up the nationalist base. Supporters of the treaty are out in force raising sensible objections. Columbia University’s Stephen Sestanovich writes, “The INF treaty may be the most one-sidedly good arms-control agreement any U.S. President has ever signed.” It prevents Russia from deploying the ground-based missiles that were its competitive advantage, while leaving the U.S. at liberty to use the air- and sea-delivered missiles that are mainstays of its nuclear-defense system abroad. Stephen Pifer of Brookings considers “U.S. withdrawal from the INF Treaty … a loser all around.” The U.S. will be blamed by Europeans for collapsing the treaty, Russia will be free to threaten Europe with more nuclear weapons, and the U.S. will have no counter. Yet even if the administration’s motives are not honorable, and the likelihood is low that it can adroitly exit the treaty while sustaining allied unity, there is a reasonable case to be made for withdrawal. First, Russia is in violation of the treaty. It has been since at least 2014, when the Obama administration originally brought the violation to light. 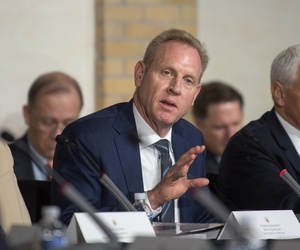 And last year the vice chairman of the Joint Chiefs of Staff testified that the Russians had deployed prohibited missiles at the Kapustin Yar test site and another location in Russia. Second, the White House’s decision will not come as a surprise to American allies. The Department of Defense has warned for months that the U.S. would deploy sea-based nuclear missiles unless Russia returned to INF compliance. Russia’s violations were also a topic at meetings of the nato Nuclear Planning Group earlier in October. On Sunday, Britain’s defense minister said he supported U.S. withdrawal. And on Monday, nato’s spokesman affirmed that all 29 allies believe Russia is in violation of the treaty. While allies would certainly prefer that the U.S. remain in the treaty, Trump’s decision may not prove as fractious as imagined. 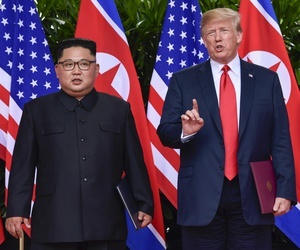 Third, there is a strong operational argument for deploying now-prohibited ground-based conventional missiles in Asia. Commanders of the U.S. Indo-Pacific Command have for some time drawn attention to the Chinese missile advantage. As Eric Sayers of the Center for Strategic and International Studies has argued, “The growing conventional military imbalance could well mean that the United States will not be able to uphold its security commitments to allies or reassure partners in the Indo-Pacific.” If the U.S. were to build a stockpile of conventional intermediate-range ground missiles, that would reduce strain on air and naval platforms, and produce greater penetration capability to the interior of Chinese territory (which would work as a deterrent). Fourth, advocates of remaining in the treaty (and I am one) struggle to propose actionable ways to bring Russia back into compliance. Neither exposure nor the threat of new treaty-compliant nuclear deployments did the trick. Sestanovich recommends a buildup of allowable (air-delivered) nuclear weapons in Europe, which would incur many of the drawbacks of just withdrawing from the treaty. 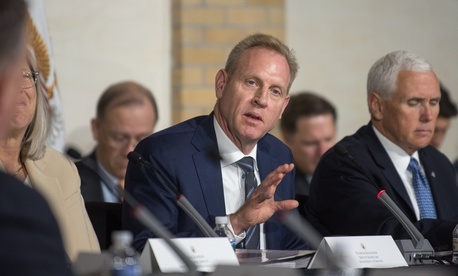 Pifer, too, recommends a non-prohibited arms buildup and intelligence-community briefings to raise public awareness of Russian violations. At a minimum, it would have behooved the administration to bring a little creativity to the problem. It might have tried to negotiate an exemption for conventional ballistic and cruise missiles, coupled with increased verification measures to check which were nuclear versus conventional. It might have circumscribed the INF treaty geographically to Europe. 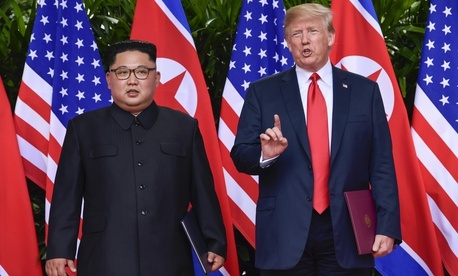 The administration could also have reduced the political costs of withdrawing from the treaty if it had tried to persuade the Chinese to dismantle their ground missiles. It’s exceedingly unlikely that the Chinese would have agreed to trade away one of their few competitive operational advantages, but just making the effort would have pleased the international community. The main audience the administration needs to win over is European, and the U.S. will only stoke anxiety if it looks as though it’s willing to increase risk to allies in Europe in order to reduce risk to allies in Asia. “Realists” mistakenly expect U.S. withdrawal to produce more vigor in European defense, when what it typically produces is more accommodation of Russian interests. This dynamic is especially important right now because nato allies must soon decide how and whether to modernize their nuclear-delivery systems. Public fears about nuclear war in Europe will complicate modernization efforts and may lead European governments to blanch at continuing to share the burden of nato nuclear missions. Concern about keeping European defense on track should have been reason enough not to withdraw from the INF treaty right now. But the White House revels in playing to the worst caricatures of its policies, which is why it has needlessly driven up the costs of a defensible decision like leaving the INF treaty.